The land was barren and strange. The sun did not rise here. We all huddled together to form a city and its streets had no name. Just a place to shelter ourselves. We had come here because home was destroyed and we belonged nowhere. We deserved nowhere. Sometimes we looked up at the sky and we could see our home, round and dark and cold, a full stop in the sky. There may be other hushed cities in the horizon beyond the rugged terrain of the mountains. But we did not want to see them. We did not want to see each other. We did not want to see anything other than the full stop in the sky. When the boy was born we asked the woman Mary who the father was so we could punish him too. She looked at us blankly. We killed her as we did all those who gave birth. The boy grew up on the streets among the abandoned children who had come with us here. We heard of the boy who could heal the broken. We heard of the boy who could warm people without fire. We heard of the boy who could make people see things that didn’t exist and then promise them those things. He promised them the world. We heard of the Messiah of the children. We heard the laughter of children. We were frightened and angry. Then one day he marched through every street of the city bearing the cross on his back. Everywhere he went the children were waiting for him. We saw him go outside the city, followed by the children, to the mountains. 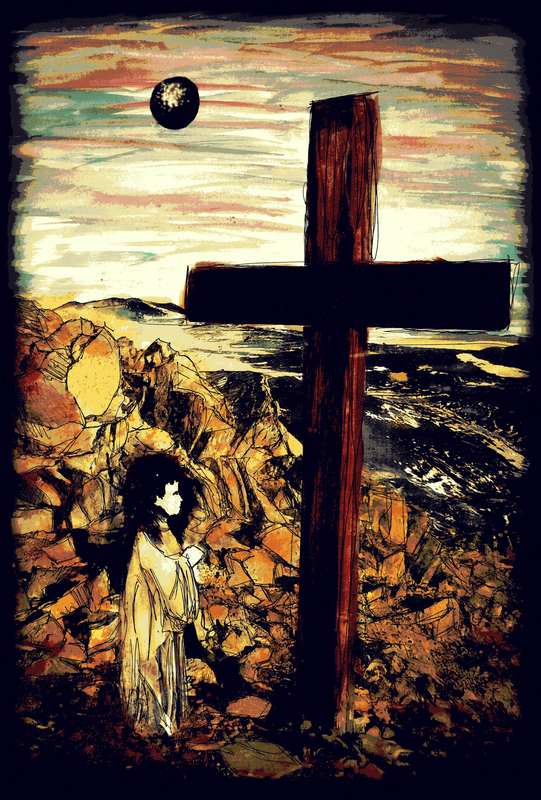 At the peak of the tallest mountain he affixed the cross. “Why did you do this?” they asked him. “You will know before the sun has risen,” he replied. We had had enough. We had him brought before us. We watched him standing before us. The king of the children. A dirty vagrant from the streets. There was nothing special about him. We reproached him for his mischief. We tore our clothes in consternation and he laughed. We decided to put an end to this. We slew him, then we carried him through the streets that were silent once more, peaceful once more. And we nailed him to the cross on the mountain. Our dead home affixed limply in the sky, dark and baleful, encircled his head. When the army rose, it shook the city from the roots upward. From our tenement rooms where we hid, frightened, we saw the army of children. A flood of flotsam and jetsam, they marched down the streets, giving names to everything and laughing. Every one of their faces was the boy’s face. We heard their songs and their laughter. We realised they would not slay us. We looked up at our home in the sky and wept for everything. We tried to believe in the things the boy said. We had nothing left. Then the children went quiet and looked up at the sky as one. We looked up too. We stared as the sky turned from black to red to white and then blue. The sun had risen. 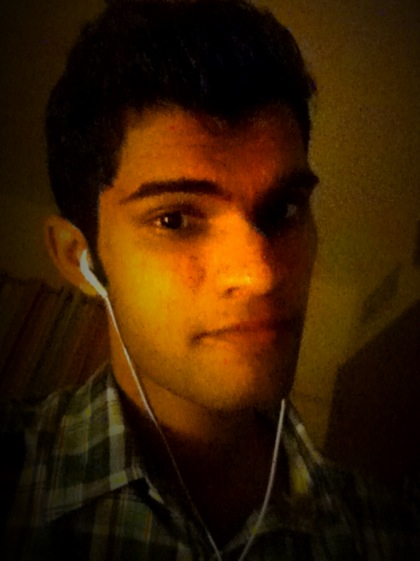 Faisal Pakkali is a 19 year old Indian guy living in Dubai. He has previously been published in Everyday fiction. He is studying to be an accountant and writes in his free time. He has a habit of listening to music while he writes. Let him entertain you. No he has not yet written a story while listening to Robbie Williams.